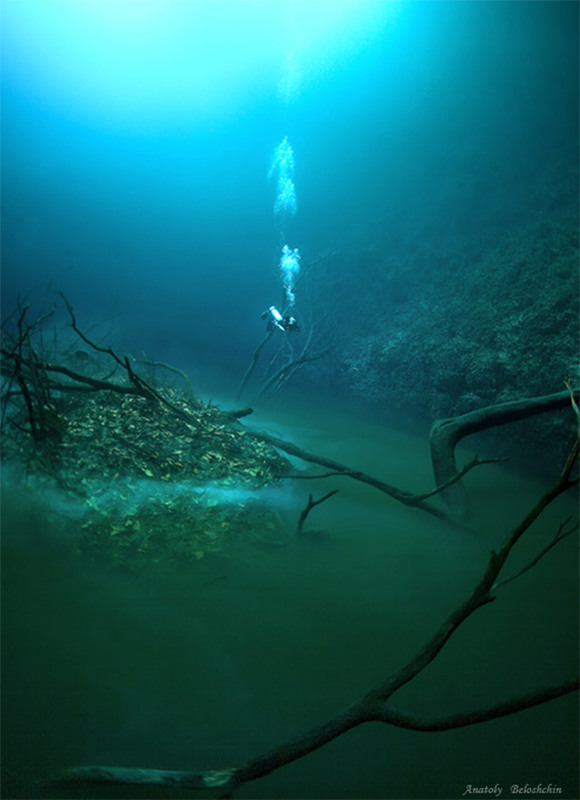 The river itself is actually a sort of illusion due to a phenomenon called a halocline, where waters with different levels of salinity form into layers because of a variation in density. 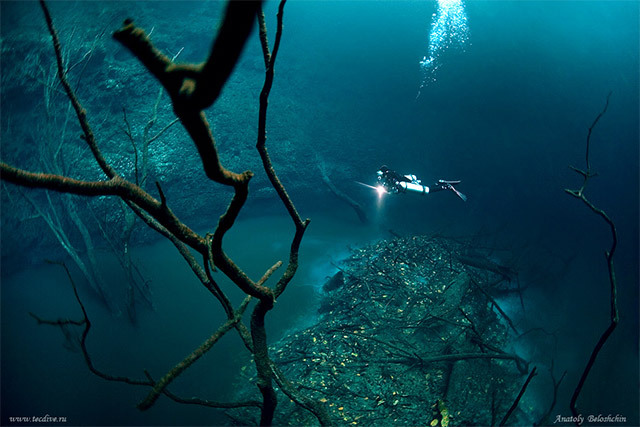 According to Beloshchin, Cenote Angelita is comprised of fresh water until about 29 meters when it switches to a 1-meter layer of hydrogen sulfide, after which the entire cave bottom is filled with saltwater from 30 to 60 meters deep. 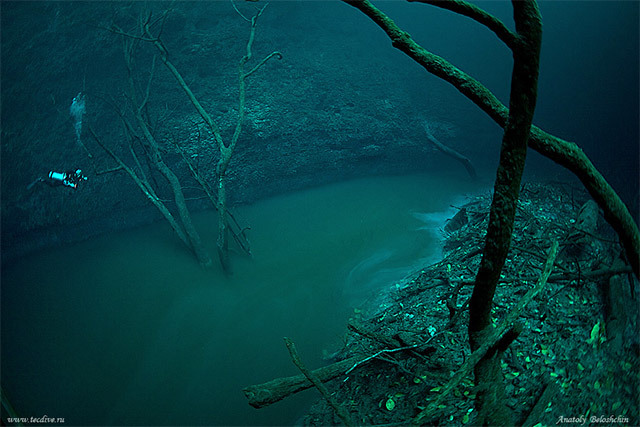 So in reality the “river” is actually just a dense layer of saltwater resting at the bottom of a cave. 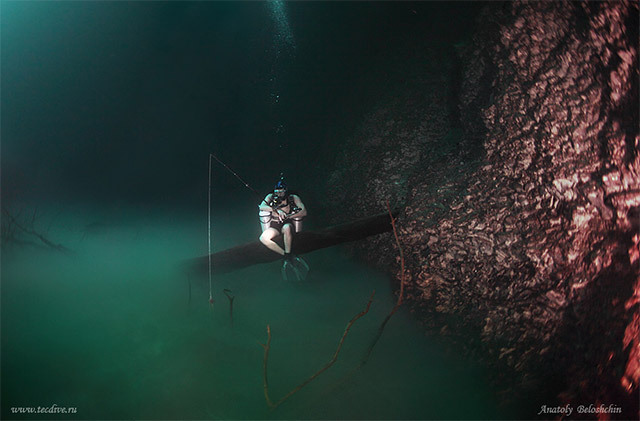 You can read more over the SeaWayBLOG, and see many more photos in the Underwater Caves section of Beloshchin’s website. 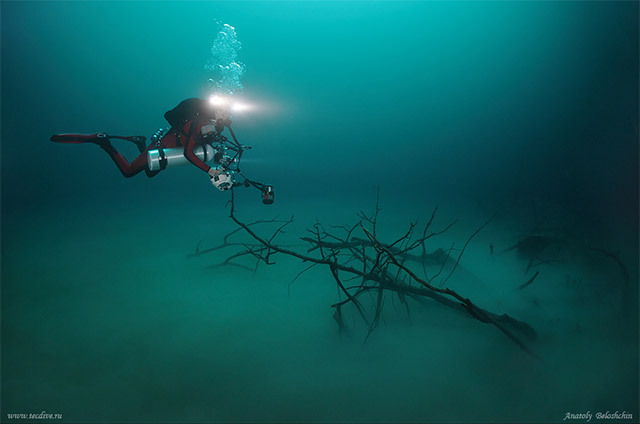 And there are trees in a submerged cave? 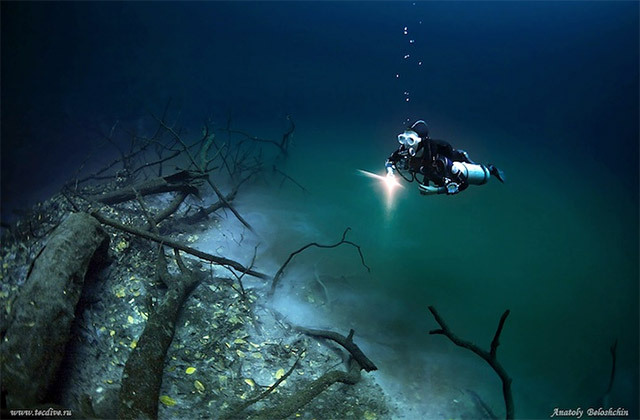 Please explain to us less knowledgeable.